With a spectacular backdrop along one of Mexico's most dramatic stretches of oceanfront property, two Jack Nicklaus golf courses designed by the legend himself – one private and one resort course – promise a lifetime of magnificent and memorable golf experiences. Unique natural terrain including massive sand dunes, rugged cliffs, white-sand beaches, private coves, and desert canyons provide the setting for holes that hug the coastline and wind through the rolling hillside. 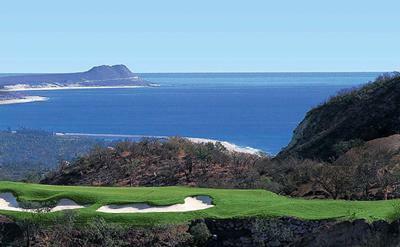 The result is a truly one-of-a-kind golf experience that features the most oceanfront holes in all of Baja - and what many anticipate to be two of the best courses in Mexico and abroad.